Once in a while a family member or friend will inform me my voicemail is full. I usually chuckle (I admit to a sentimental streak!) before beginning the difficult task of deleting some of my treasures. I have voice messages from my mom that I’ve kept for a long time. It is nice to have the “sound” of her smile and love in my pocket. Her voice reminds me of the blessing she is in my life. Actually, every time I look at her name along with the date of the saved message, I contemplate this blessing. These sentiments are a tiny indication of how Our Lord hopes we’ll feel when we think of Him and His great gifts. In today’s readings, the Church gives us a chance to pause and contemplate the wondrous mystery of the Incarnation: [T]he virgin shall conceive and bear a son, and shall name him Emmanuel. (Isaiah 7:14) This mystery is so intensely beautiful that we bow and sometimes genuflect when we pray, He was conceived by the Holy Spirit and born of the Virgin Mary or and the Word became flesh and dwelt among us. God took on human flesh and entered a human family. Nothing will ever be the same. 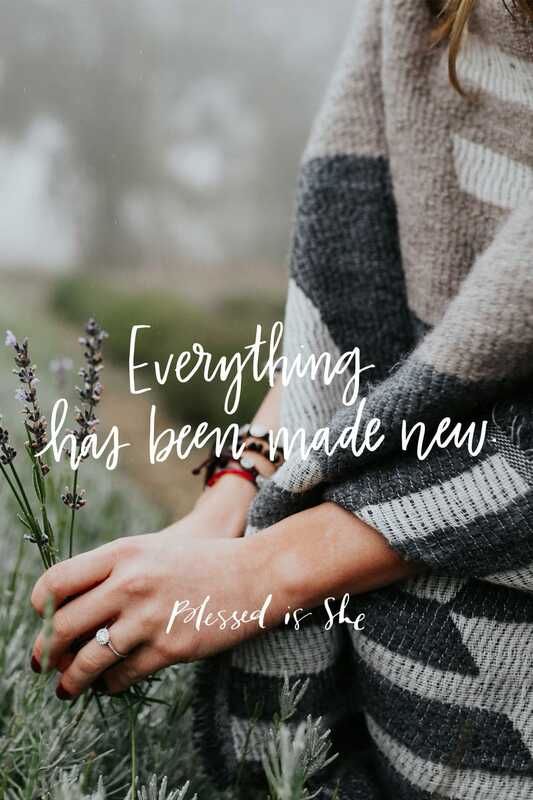 Everything has been made new. The saints testify to the all-consuming love of God; and it’s in the Liturgy that they join us, to become the whole Church of God. Our liturgy is filled with things we can see, smell, hear, touch, taste, and experience spiritually. It involves all of our senses. All of them. Our Blessed Mother shows us what a healthy spiritual life looks like. Our Lady is so open to God’s all-consuming love, and she welcomes the Lord’s will so completely, that God becomes flesh in her. God allows Himself to be nurtured in her womb, in her arms, and in her home. God comes to dwell within her—and among us. This is why the Church encourages us to go to Our Mother. Just as God Himself chose to be nurtured by her love, so we can grow in our love for Our Lady. If you are like me, you may have to pray for the grace to trust and love her more; but we can be sure she will never refuse us. She is “full of grace,” and will come quickly when we call. Pray 10 Hail Marys today and pray them thoughtfully. We will pray them together!